Remember the movie, Dances with Wolves? 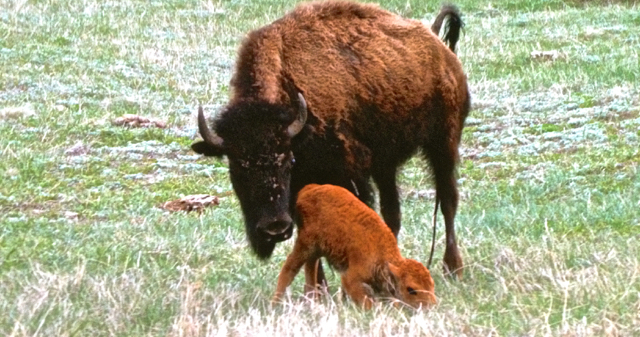 That was where I learned the Native American name for the great American Bison: Tatanka. They are wild and fierce and powerful and I adore them. Just being close to these magnificent creatures is a visual meditation for me. 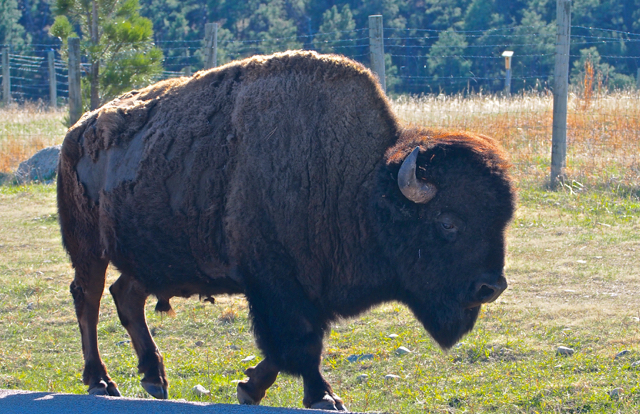 The Bison herd at Custer State Park in South Dakota’s Black Hills is 1500 strong. They occupy over 17,000 acres of land. As soon as I entered the park, I knew who was in charge by this sign. Animals have right of way here…..always! See his nose; it is as big as my head! Everywhere I go in the park, there are bison or signs of them. I asked a ranger about hiking the trails. He said, If you see a Bison, just walk slowly and keep about a hundred yards between you and them. Right-O, sure thing. 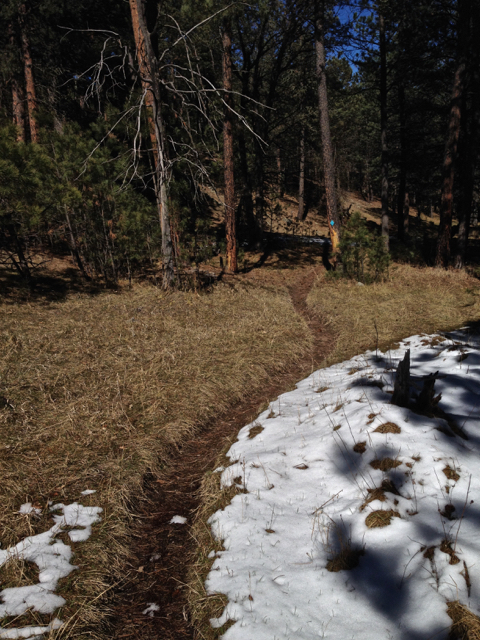 My first hike was at Badger’s Hole along the Centennial Trail. 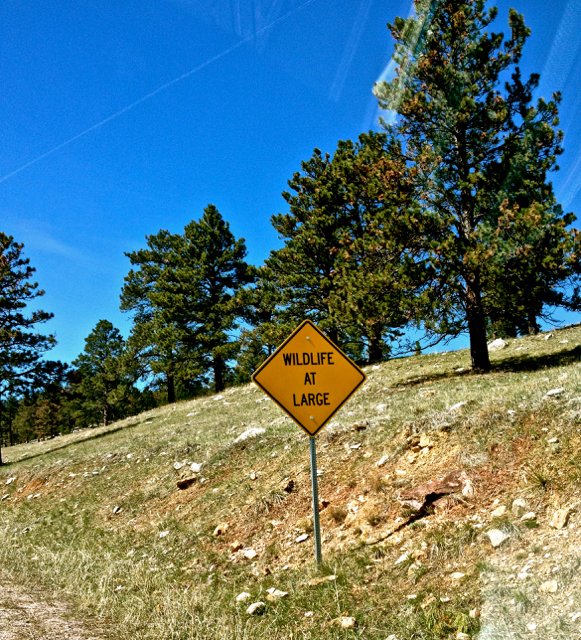 First thing I saw at the start of the trail…….a big fresh bison patty. Was I ever vigilant on that hike! Stick around…….lots more to come. This entry was posted in Uncategorized and tagged Outdoors, STATE PARKS, tincantravelerPhotos, visual meditation. Bookmark the permalink. Oh what magnificent wonders abound in this great vast land of ours. Living in my tiny little town this in not something I would be aware of. But to experience it live is truly a treasure to cherish. They are amazing and I did see that movie.We do have them here in a zoo – somehow it is not the same. What great fun! Wow, an adventure for sure!